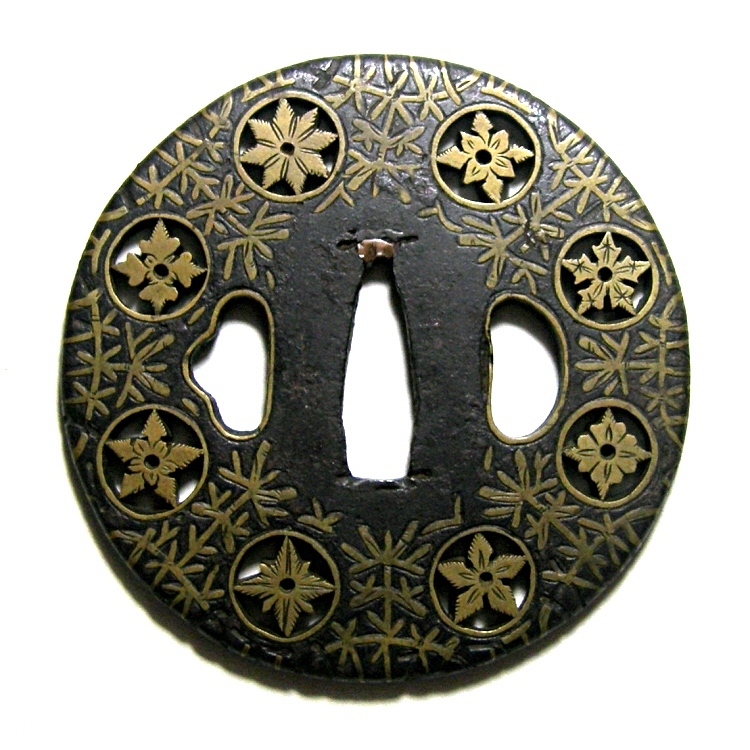 Emblems of flowers and algae are expressed in small openwork, carving and the Hira-Zogan inlay methods with brass. 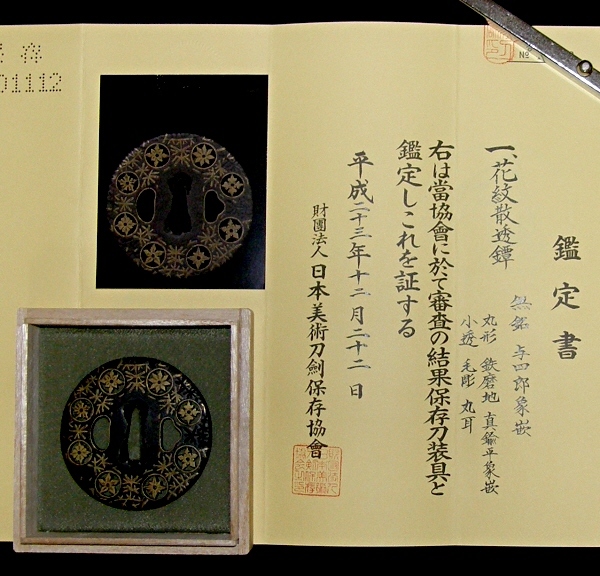 Its cucumference is outlined in the Maru-Mimi shape. 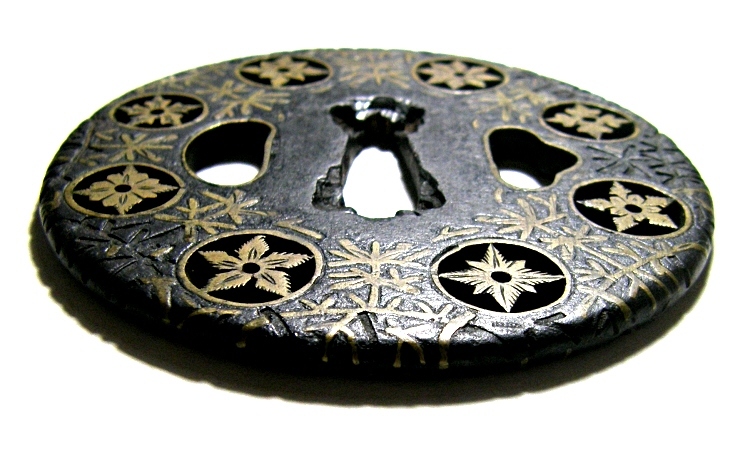 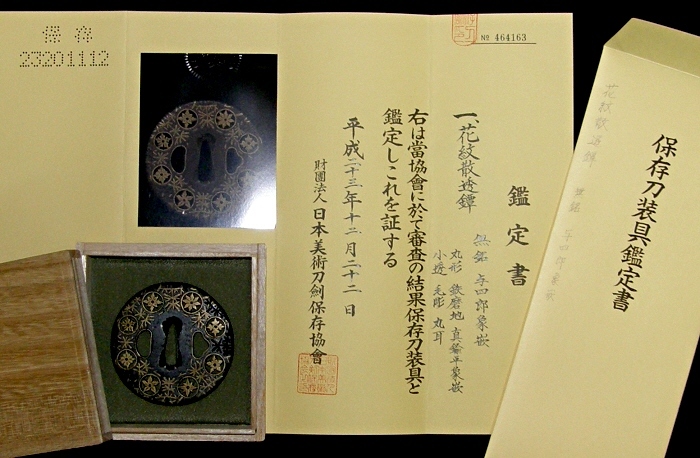 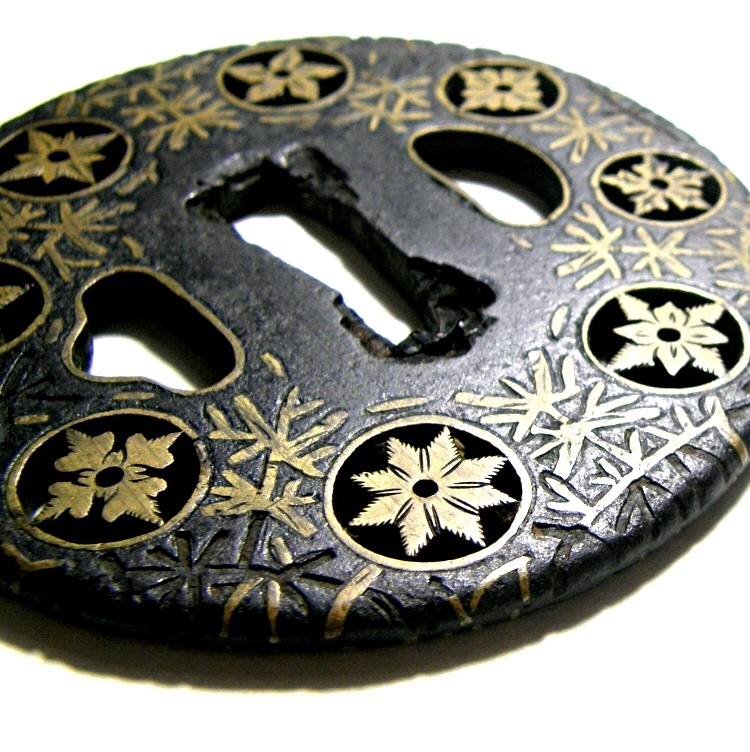 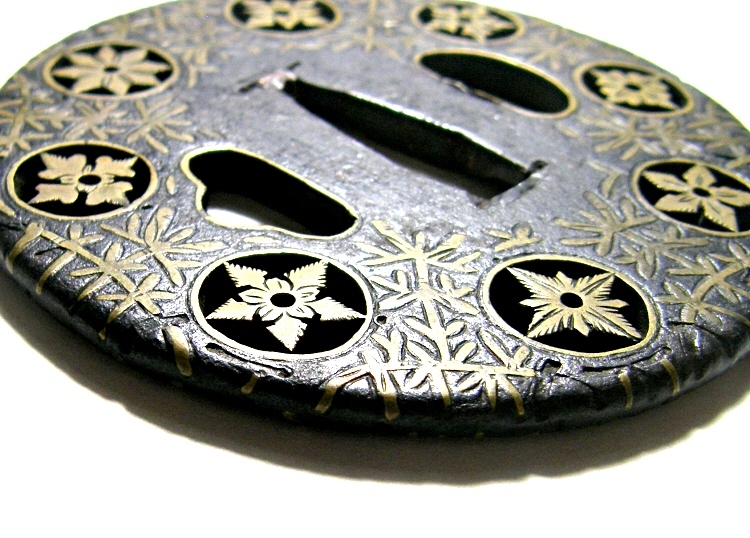 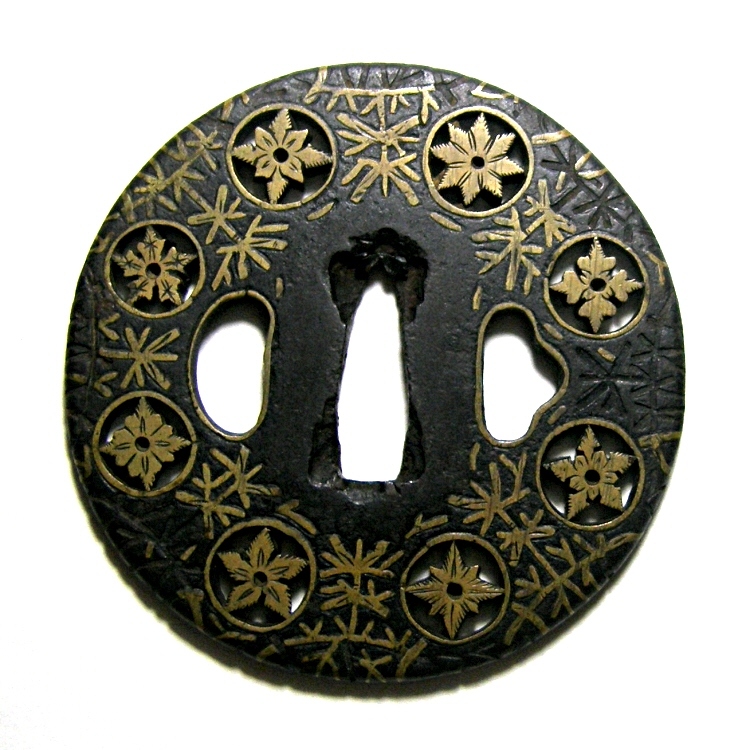 Although, this is really precious tsuba that made in the Muromachi period.